The Isorians love their drone technology. They use it a bit of everywhere. With these new releases for Beyond the Gates of Antares, they're getting a pair of big drone fliers. But that's not all. They've also got a speeder bike unit rushing to battle. Finally, both the Freeborn and Algoryn forces are getting new sprues. 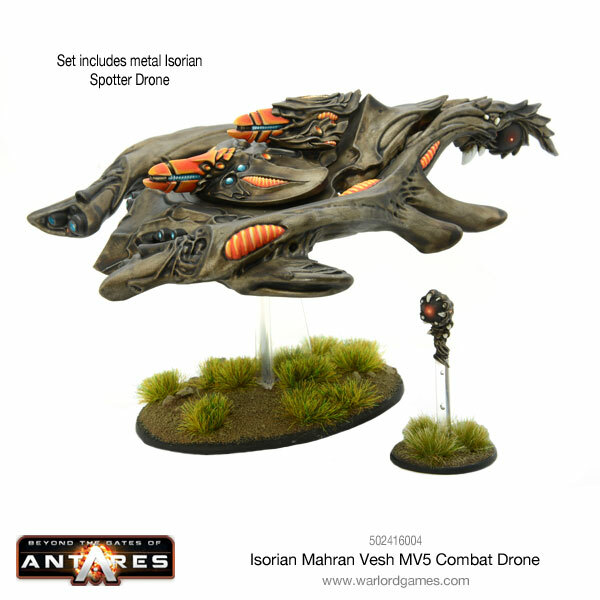 The Mahran Vesh type 5 Combat Drone, often abbreviated to MV5, is the standard large combat drone found in Isorian armies throughout Antarean space. As with all fighting drones in the Isorian arsenal, it is a fully sentient machine, lacking a human crew, and entirely capable of operating in a variety of combat environments. Multi-part resin model of Isorian Mahran Vesh MV5 armed with one plasma light support and a choice of plasma cannon, compression cannon, or fractal cannon. 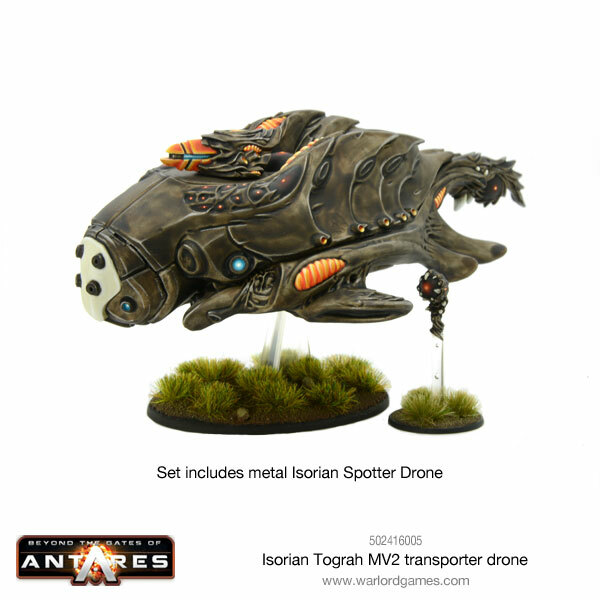 The Tograh is a type 2 variant of the Mahran Vesh combat drone fully adapted to carry human or alien passengers in a separate transportation shell. The MV2 is a sentient machine, although depending upon its machine intelligence is not always rated at full combat level. However, even the most basic transporter is entirely capable of operating independently without human or other biological crew. SV 21 Takhan pulse bikes are designed for speed and manoeuvrability, making them ideal for hit-and-run missions where they can easily avoid slower and more heavily armed opponents. 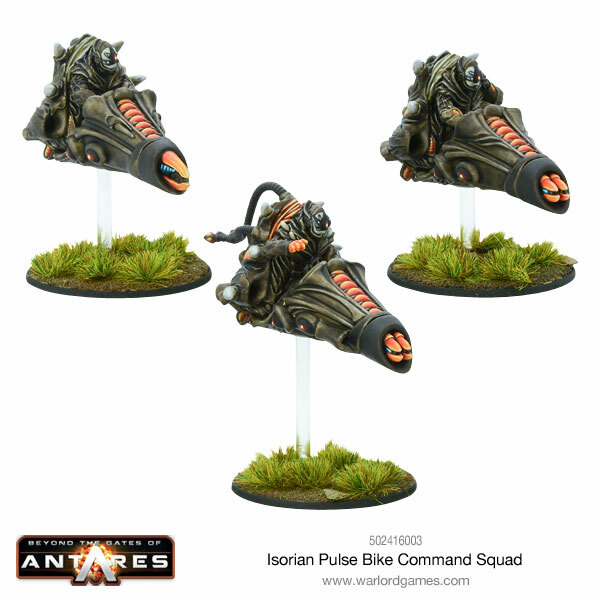 Pulse bike formations are used in a reconnaissance role, scouting out the ground both ahead and around Isorian forces, as well as high-speed raiders or fast-moving seize-and-hold units. 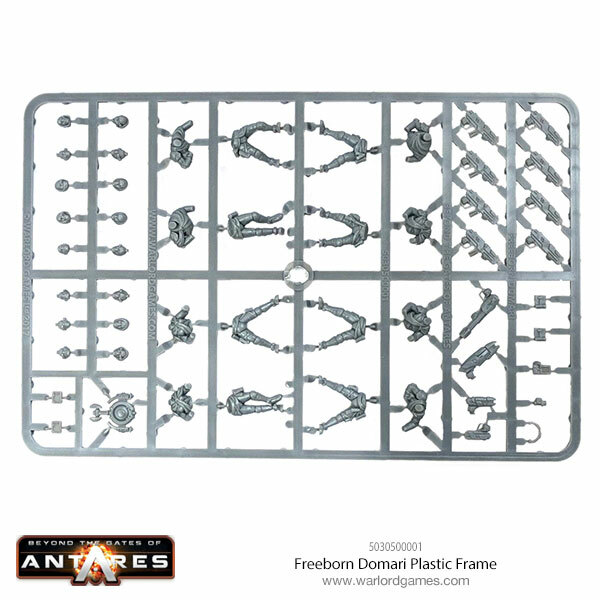 This sprue allows you to create 8 men, 2 marching and 6 in a dynamic standing position. 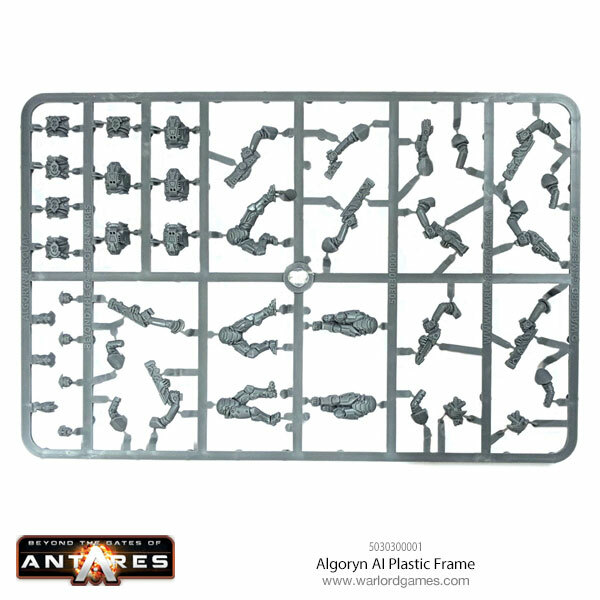 This plastic sprue allows you to create 5 Algoryn AI troopers, 3 marching and 2 in a dynamic standing position.